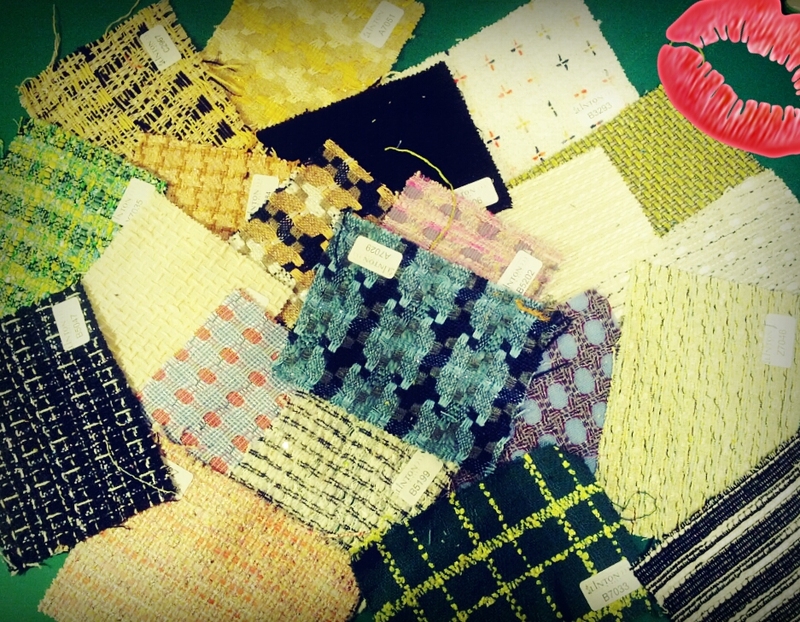 ... with 20 samples of Linton fabric, mostly tweed and bouclé. They arrived in four day from Carlisle, UK, to Tokyo! Can you believe? It's price was also unbelievable. I paid something like £6 for samples + delivery! Ladies, hurry up! What sewing project do you daydream about? I keep promising myself a French jacket. As I only live just over an hour's drive from Linton I have no excuses. Oooh, these are so pretty, and very much your style! I've been thinking about casual blazers lots lately, as well as the By Hand London Anna dress (I've got a really beautiful floral print picked out but I just haven't quite had the time to get to it!). Oooh, too hard to choose! Oooh. Any of those samples taking your fancy? Can I come over and play with these?! Yes :) Gimme a call! So far I like three on top of the photo: white piece with flowers and two on its left. Still waiting for swatches from Mood to come to the final decision.